So, today was their GCSE Religious Studies day. I don't think it went very well judging by their little faces as they came out. PERHAPS NOW YOU UNDERSTAND THE IMPORTANCE OF REVISION! Yesterday I had a small group in a computer room. Right you lot. Sit on the same row and I'll sit behind you so that I can be sure you do some revision. Sir. How do you find that Virtual Learning Environment thingumy? What? WHAT? A day before your exam and you're asking me how to find the revision material! Sir. What topics are we doing? It'll be fine. I'll revise tonight and tomorrow morning. That should do it. 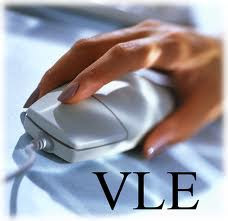 I learnt something about the VLE though, which I shared with my Yr 10s this morning. I told them about the Yr 11 group and they all looked dead superior. ... so you remember I gave you revision homework last week for your exam on June 9th? Well look what happens when I press this button. It tells me who has logged on and the date they did. And guess what? None of your names are there for any of the topics. Now we'll just go round the class and you can tell me in turn why you don't need to do the homework. Checking again tonight to see if any signed on today? ..and you like teaching because......?